Early spring is the most-lean part of the year when it comes to local food; winter stores are running low and spring shoots are only just starting to show. It can often mean going without… or making a trip to the supermarket. For Locavores, planning ahead is a difficult and necessary task that starts in the Spring when seeds are being chosen and doesn’t stop until the last jar of fall tomatoes are put on the shelf and the root vegetables are safely tucked in their winter home. If you are lucky enough to have a winter farmer’s market where you live (like I do) it can stave off some of the planning. But even so, you are often left with too much tomato sauce and not enough canned peaches… or a pile of root cellar fruits and vegetables that are about to go bad. This is the simple part. 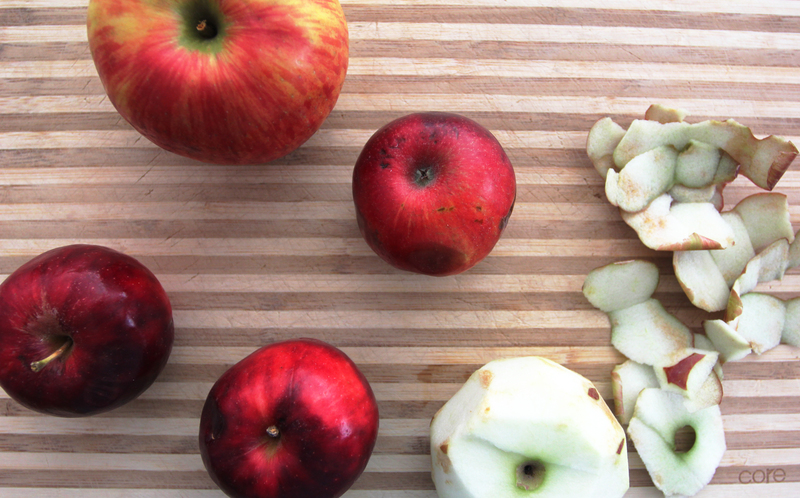 Take your apples and hack away at them. Pretend you are a plastic surgeon, but one that doesn’t despair at a slight blemish, and remove all the old, rotten, ugly bits, the core ,and the stem. Roughly chunk the remaining apples. In a sauce pan heat the butter on medium low heat, so it melts but does not brown. To the pan add the apples and cardamom pods. Cook, stirring occasionally, until the apples start to soften (but still have a bit of bite). Add the brown sugar and vanilla, stir, and cook until the apples start to brown. 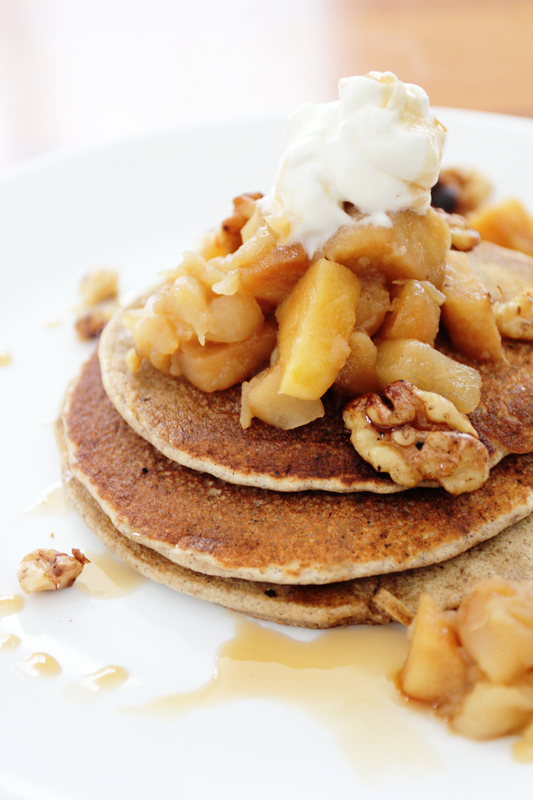 Sprinkle with lemon juice and serve warm on top of buckwheat pancakes, drizzled with maple syrup. OR serve it any way you darn tooting want to serve it. Just eat the whole thing right out of the pan with a spoon if you like. It is an option. And a good one. And that is why there ain’t no such thing as a bad apple. This is Megan, so glad I got to be there for those delicious pancakes! You gotta post some things from your trip! Need world food photos now! I know!!!! I’m writing and editing as I type this. Ireland sheep farm post in the weeks to come! Finally had good enough internet to upload the photos! A bit delayed, but better late than never.